Wine bar with gourmet sharing plates, pizzas, charcuterie & cheese trays & infused cocktails. 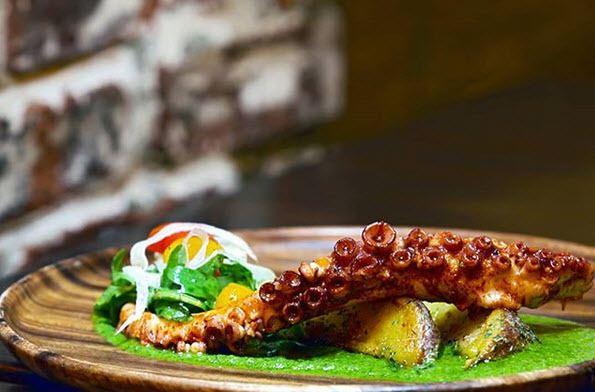 DiWine, located in the heart of Astoria, Queens is an incredible wine bar and restaurant with a chill atmosphere. Most people will share a bottle of wine from their extensive wine list and some sharing plates for an affordable but indulgent night out. Appetizers start at $12, mains start at $20, and their pizzas at $15 which means that while DiWine coupons would be nice, the restaurant is already a great deal, especially for New York.